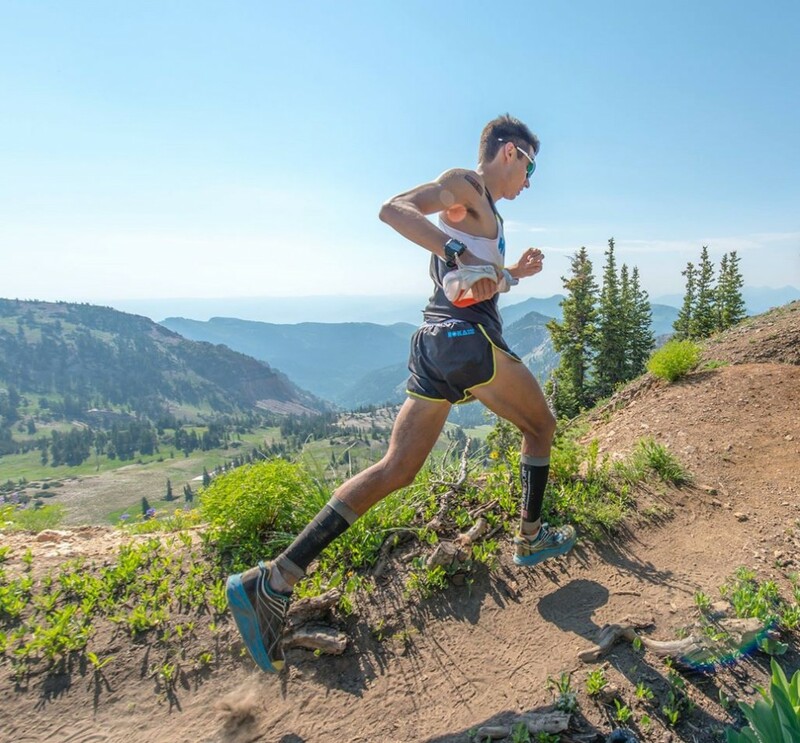 In the past I’ve been skeptical of “Flow.” From what I’ve heard it’s a term used more often by mountain bikers, but also something that has been mentioned by fellow mountain-ultra-trail runners. I wondered perhaps if it was something about connecting with the land and dancing down mountains in a Kilian-esque style while managing not to stub your feet on a patch of gnarly rocks? This was a phenomenon that I had yet to experience, as usually it felt like I was awkwardly stumbling down such descents like a Gumby on pogo sticks (or shall I say “Pokey” sticks?) with a timid trepidation. I hadn’t found or felt this magical Flow thing. The rest of the race was a blur of some painful powerhiking (note: Strava.com has the segment up Mt. 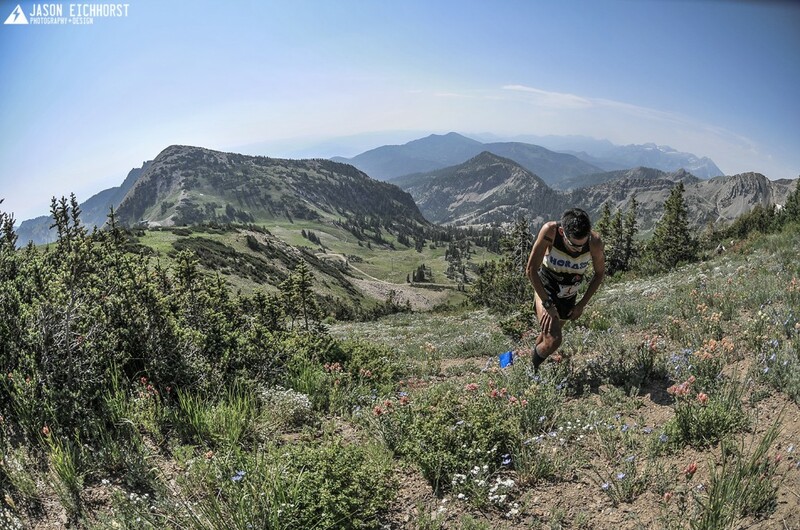 Baldy around mile 20 as an average grade of 40% for 0.3 of a mile….off trail! ), some eating of fruits, some encouraging cheering from the wonderful volunteers, and some very efficient aid-station stops thanks to the support of Sandi, her sister, and my parents. Ridge line. Around mile 22. 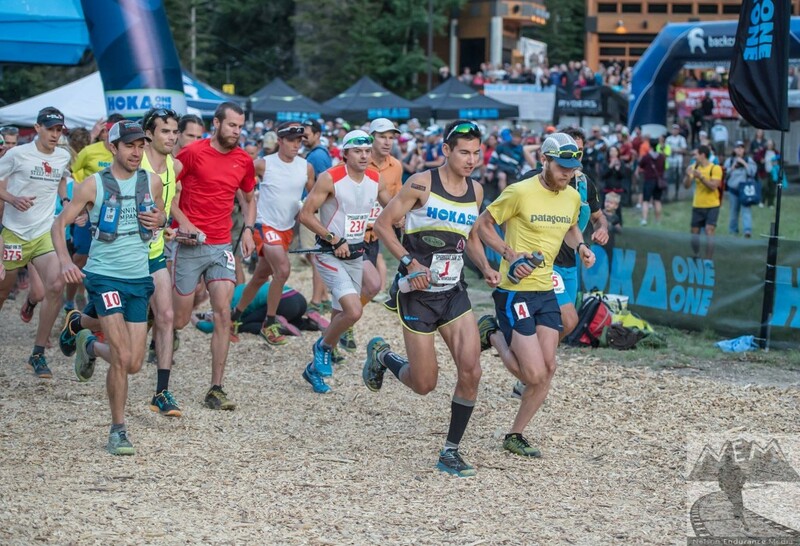 RD “Speedgoat” Karl put on a great event and the HOKA crew was out in full force as well to greet me at the finish line. Nice! After taking into account that this year’s course was about 1 mile longer (nearly all off-trail stuff too! ), had 400’ more climbing, and warmer temps, I’m rating this year’s performance as significantly better than last year’s race. After starting 2014 with many so-so races, I’m feeling good about how my fitness has finally taken a leap forward and things are really starting to pay off. The name of the game is consistent progression….even if it happens in little bits at a time! Men’s Podium. Congrats to Paul Hamilton and Alex Nichols! What’s up next? 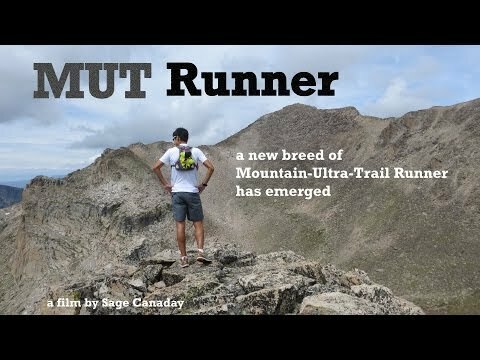 Well, I’m making a big push to finish the MUT Runner film project. 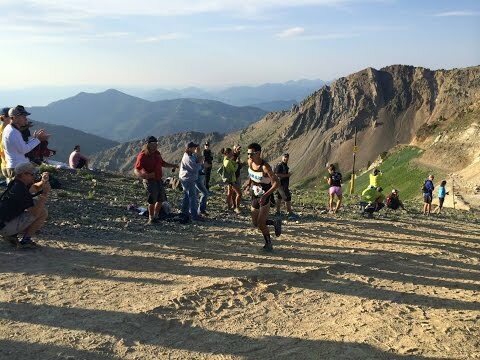 As far as racing goes, I’ll be competing for Team USA at the Pikes Peak Ascent and then likely be squaring off against Kilian Jornet again at The RUT 50km in Montana for the SkyRunning Ultra World Series Final. 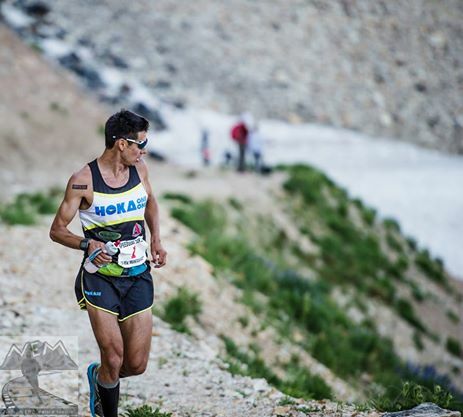 High altitude mountain racing is the theme of this summer! Thanks for reading and I wish you the best in your training and racing! 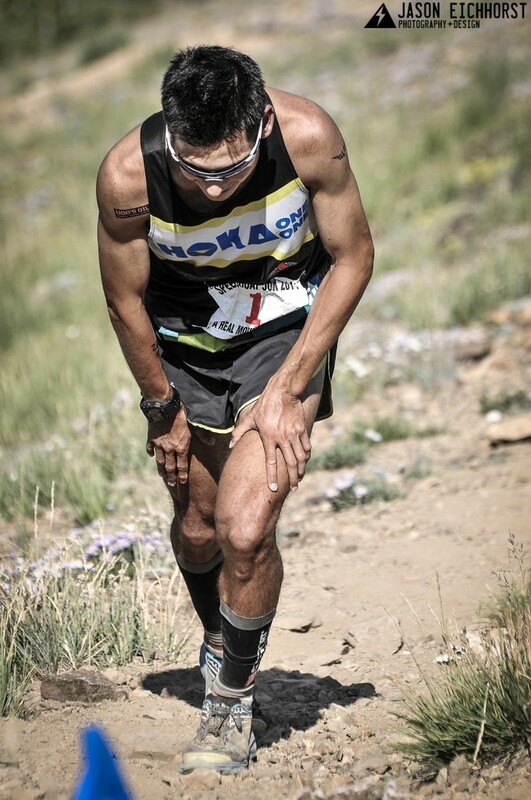 Calf Sleeves: Compressport Enter code “SAGE14” for a 10% discount! Pre-Race: Flora Health 7 Sources and /or Udo’s Oil everyday! Hydration Gear: Ultimate Direction handheld and Jurek Essential belt (swapped 2). Filled the pockets with UD gel flasks ful of Vfuel. Thank you so much for report and for always fill them with humor, facts and tips! Something that, as an avid reader, I appreciate. That moment you mentioned, where you discovered your flow, is like the Satori for the martial artist: is that point of time, while training, where you understand completely the reasons behind every position, every movement, every breathing; not only in training or fighting but in nature and life as well. In martial arts, is the moment where you can actually “predict” your opponents movements and move before they do, you are not tired anymore, not affraid, not even worried because you are fully aware of your true power. Thank you again for the report and wish you the best in your upcoming races coach! Thanks so much for all the support! Yeah, I like your description of FLOW a lot better! The pain is always there, but at times I get a little break to enjoy the effort and appreciate what the human body can handle. That is fun. We need to get that prize money bumped up to $1,000 per km. Congrats! ha ha, in that case I could save for retirement, right? Thanks! Look at the size of that check though!!! 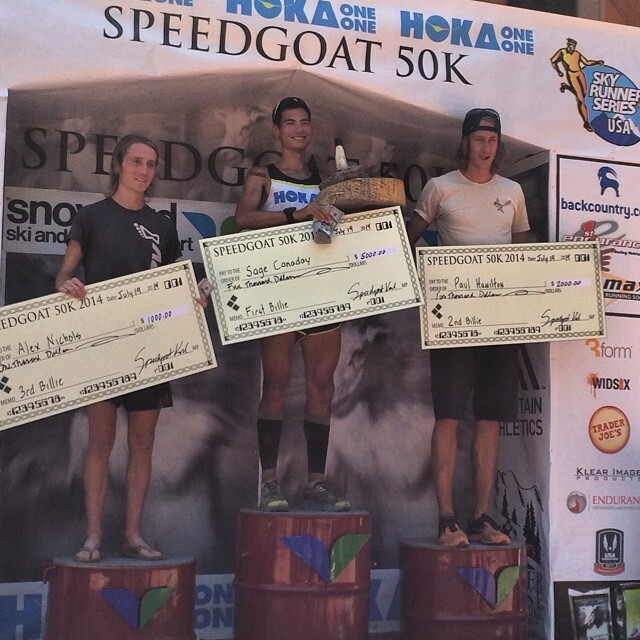 Truly amazing job and win at SG 50K! I was able to bring my wife and kids down to watch the finish. We are avid trail runners and big fans. My 8 yr old son said “dad I hope I can be as cool as him.” I think he is ready to start trail running. Hey that is really awesome to hear! Thanks so much for all your support! does jogging a slow 1/2 mile around the track in between repeats for about 5-5.5 min. sound right? Thanks as always. Yeah, I’d say that’s about right. Your current fitness and goal fitness are always moving targets so give yourself a pace range. Shoot for an 80 to 85% overall effort for a workout like that and be sure you have energy to negative split the 2-miles if you have to. The fact that you are just running a bit faster than goal marathon pace is good for the legs and of course finding that edge where your lactate acid levels start to almost burn is also important! Keep the rest short in the 5 to 6min range and don’t worry about the pace as much. Hey Sage, congrats on your win! It was great to see you get the win and have the race you were hoping for. Good luck in the next couple months, sounds like you have a busy schedule. Don’t over do it! Thanks! Yeah, I’d like to do Mountain Masochist (Sandi likes it as well and we tend to like the uphills!). I actually really enjoyed UROC when it was out in Virginia too!